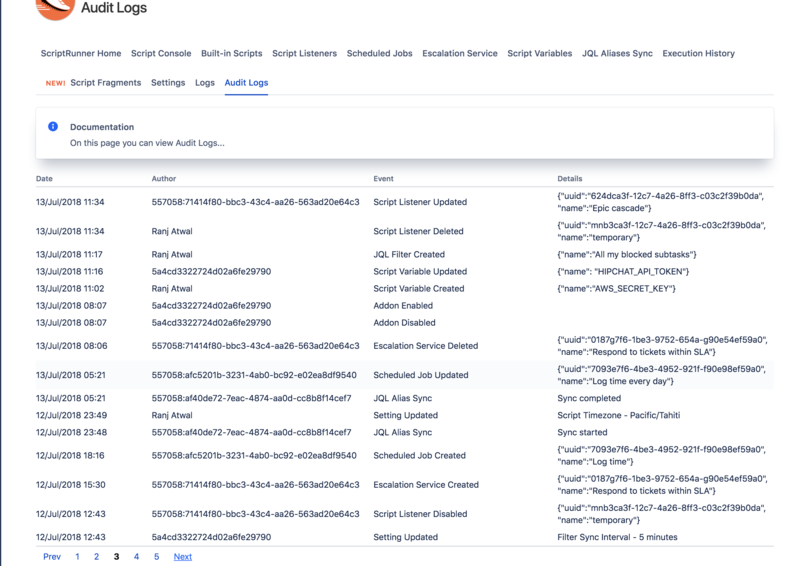 This page allows you to view logs of all ScriptRunner events that have occurred in your Jira instance. The name of the user instigating the event. If no displayName is available, then it will display the accountId. The instigating ScriptRunner event e.g. Script Listener Created, Script Variable Removed, Enhanced Search Filter Updated. This provides more detailed information about what change was made.